From 16 January 2013 Mrs. Annette Radtke started to work for the ISPRS Headquarters based in Hannover, Germany, providing administrative support and assistance to ISPRS Hedquarters and the Secretary General. We wish Mrs. Radtke all the best and welcome her to the ISPRS family. ISPRS is very grateful to the German Science Foundation (DFG) for the financial support of the Secretariat and Leibniz Universität Hannover for providing the office. The 8th ISPRS Student Consortium and WG VI/5 Summer School was held at Burapha University, Chonburi, Thailand from November 30 to December 4, 2012. The Summer School was one of the concurrent activities of the recently concluded 33rd Asian Conference on Remote Sensing (ACRS 2012). The local organizers of the program were the Geo-Informatics and Space Technology Development Agency (GISTDA), a public organization supported by the Ministry of Science and Technology – Thailand, and the Faculty of Geoinformatics, Burapha University. One of the key priorities of ISPRS is to facilitate the publication of high quality scientific outputs. 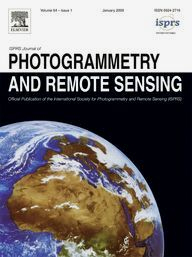 Besides our two international peer-reviewed journals, the ISPRS Journal of Photogrammetry and Remote Sensing and the ISPRS International Journal of Geo-information, we pursue this goal by continually striving to improve the quality and visibility of ISPRS meetings and the resulting proceedings. At last year's XXII ISPRS Congress, ISPRS introduced the ISPRS Annals of Photogrammetry, Remote Sensing and Spatial Information Sciences. The Annals constitute full-paper double-blind peer reviewed proceedings and complement the ISPRS Archives of Photogrammetry, Remote Sensing and Spatial Information Sciences, which continue to be peer reviewed based on submitted or extended abstracts. A step for increasing the visibility of the Archives and Annals is to gain their inclusion into scientific indices such as the Conference Proceedings Citation Index (CPCI) of Thompson Reuters (Web of Knowledge) and SCOPUS. Achieving this objective not only requires a peer review process for the proceedings, but also a publication track record over a number of years and adherence to a number of formal unified publication standards. This means that the different volumes of the Archives and Annals all need to have the same look and feel. In the view of ISPRS it is essential for the scientific standing of the Society to have the proceedings included in these indices. We have therefore teamed up with Copernicus GmbH of Göttingen, Germany, a professional publisher in the open access area, to achieve this goal. Copernicus has already arranged for all ISPRS proceedings from 2011 and 2012 to be published in the necessary manner. Moreover, an application for the Archives to be included in Thompson Reuters’ CPCI was submitted in late 2012, and a similar application will be made for the Annals as soon as we can demonstrate the requisite sustainability of the proceedings series. Another clear request from our scientific community was to offer support for organising meetings, both in terms of paper submission, review handling and programme development, and also in terms of registration and conference organisation. Abstract and paper submission is intimately linked to the production of proceedings, and ISPRS has therefore engaged Copernicus, being also a professional conference organiser, to lead this activity as well. These services do not come for free, but they provide support for meeting organisers and increase the quality of the resultant proceedings. Since inclusion of the proceedings into the indices can only be achieved through the production of a coherent proceedings series, publishing through Copernicus is mandatory for all proceedings arising from ISPRS meetings. This comes along with the abstract and programme management of Copernicus. However, using Copernicus support for meeting registration, is optional. I hope that these developments will increase the awareness of our community as to the publication channels available, help authors make an informed choice as to where best to publish their paper, and help meeting organisers to better understand the options they have for producing ISPRS proceedings. The XXIV International CIPA Symposium on "Recording, Documentation and Cooperation for Cultural Heritage" will take place in Strasbourg (France) on September 2-6, 2013. This dual role linking Culture and Science is exhibited in our parent organizations - ICOMOS - International Council of Monuments and Sites and - ISPRS - International Society of Photogrammetry and Remote Sensing. The deadline for paper submission is April 10, thus approaching fast. - see www.cipa2013.org for more information. The 2013 Canadian Institute of Geomatics Annual Conference and the 2013 International Conference on Earth Observation for Global Changes (EOGC’2013), organized by the CIG Toronto Branch will be held on 5-7 June 2013 in Toronto, Ontario, Canada. will be held in Coombe Abbey, Warwickshire, UK from October 15-17, 2013, see http://www.earsel.org/SIG/FF/9th-workshop/index.php for details. The ISPRS Headquarters was recently informed that Laurie Adams, former Head of the Land Surveying Department of the University of Cape Town, South Africa and the 1982-84 Chairman of WG V/4 (Photogrammetry for industrial construction and mensuration), passed away on December 10th, 2012 at the age of 87. An obituary will be published in a forthcoming issue of the Photogrammetric Record. Possibly Adams’s most significant contribution to science came during his retirement when he was appointed Head of the Biostereometrics Unit in the Department of Biomedical Engineering at the University of Cape Town. There his invention of the Cape Town Stereotactic Pointer helped in the precise location and operation of brain tumours. The device is manufactured commercially and is in use in South Africa, India and Colombia. Jüri Talts, who worked for the National Land Survey of Sweden (Lantmäteriet) as a photogrammetrist until his retirement in 2001 and represented Sweden to ISPRS in several capacities, passed away on February 1st, 2013 after a short illness. Jüri was awarded an MSc in 1962 in Surveying and Geodesy at the Royal Institute of Technology in Stockholm (KTH). He was a Research Assistant under Professor Hallert for a few years and then moved to the National Land Survey. He was appointed Professor of Forestry Photogrammetry at the Agricultural University, between 1970 and 1976 and then returned to the National Land Survey. Jüri represented Sweden in OEEPE, for many years along with Kennert Torlegård from KTH. Jüri was president of Commission A, Aerotriangulation from 1977 - 1984; was Swedish delegate to OEEPE from1987 - 2001 and President from 1988- 1990. Jüri made a significant contribution to photogrammetry in Sweden, and to OEEPE; his direct opinion was valued in many discussions and activities. Jüri is survived by his wife, Else-Britt, and two sons. Theme section "Terrestrial 3D Modeling"
Knoechel, Ben, Huang, Chih-Yuan, Liang, Steve H.L. Yin, Junjun, Carswell, James D.
ISPRS Conference on "Serving Society with Geoinformation"